PrimeSight flexible endoscopes from Cogentix Medical provide high performance imaging and functionality to ensure quality diagnostic and therapeutic endoscopic procedures. Developed with the needs of today’s busy endoscopy practices, PrimeSight endoscopes used in conjunction with the EndoSheath® protective barrier, provide physicians with best-in-class imaging technology with the efficiency and sterility of a single-use device. Our state-of-the-art flexible fiberoptic endoscopes are designed to integrate into any practice, big or small. Used with the EndoSheath protective barrier and compatible with all light sources, these flexible endoscopes can go anywhere, anytime for efficient and effective endoscopy. Fiberoptic endoscopes are offered in multiple sizes to meet all your endoscopy needs. 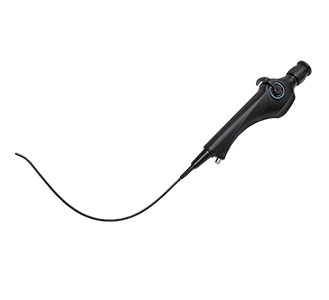 Our video endoscopes offer CCD-based, high-resolution picture quality with LED based illumination for vibrant colors, one-touch image enhancement, image freeze and image capturing. Used with the EndoSheath protective barrier, these flexible endoscopes can go anywhere, anytime for efficient and effective endoscopy. Our video endoscopes are offered in multiple sizes to meet all your endoscopy needs. PrimeSight scopes are used during endoscopy. For your convenience, we’ve assembled reimbursement information for endoscopy procedures. PrimeSight flexible endoscopes are used in urology, bariatric medicine, critical care, gastroenterology, otolaryngology, and pulmonology.